By NATHAN EARLE // Discover "Throwback Sunshine Pop"
Brothers. Bandmates. Baristas. Business partners. Brocks. The fab four combo that comprises Portland “throwback sunshine pop” group Redcast are tightly knit indeed. The atmosphere at Saint Simon Coffee Co, owned and operated by the 3 Brock brothers and their “bro-cussionist” has been seamlessly interwoven into the band’s sound. The band acknowledges being cut from the cloth of 60s and 70s rock bands like The Lovin’ Spoonful and The Monkees, but very successfully threads in more current indie pop rock sensibilities. In this episode singer Seth Brock reveals that the Portland band “The Shins" are a major influence and include an earnest special request to James Mercer to stop in to Saint Simon Coffee on NE Broadway in Portland to meet these fine fellows. 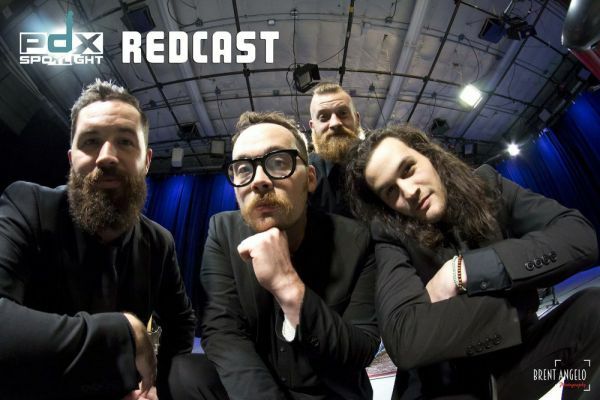 Stay tuned for Redcast’s upcoming “The Look Up" EP, and check out this full episode and past episodes of PDX Spotlight at http://www.pdxspotlight.com/videos.